There are few things I like when it's made by others and this bagara baingan is one such thing. I totally love this if made by my sister for BIL, there was a time I was anti-eggplant person and now it has become a regular veggie at home thanks to this bagara baingan. Like most of the recipes one can find multiple version of bagara baingan and this one is the most simple and easy recipe and made by my BIL and my sister way of making this is different ..sigh! I did my work by clicking the pictures asked BIL recipe for my reference as this is my favorite. 1. Wash and cut eggplant making a 'X' or '+' mark and keeping the stem intact, immerse in water all the pieces until ready to use. 2. Grind all the ingredients listed under 'for grind' into smooth paste, add little (1tbsp) water only if required. 3. 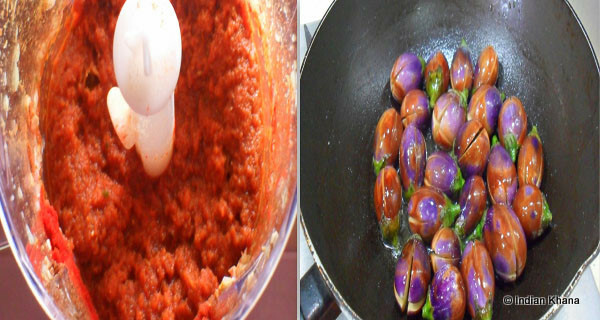 Heat 2 tsp of oil in a pan or wok and fry eggplant pieces until it changes colour, keep aside. 4. 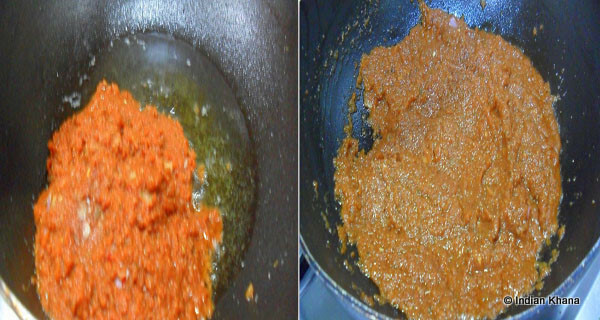 In a same pan heat remaining oil and fry the grounded paste until it starts to leave oil around for 5-7 minutes in medium heat, stir in regular intervals. 5. Add eggplant pieces and stir gently and cook for 3-4 minutes. Add 1 cup of water, cover and cook in slow flame for 5 minutes, add salt if required. 6. 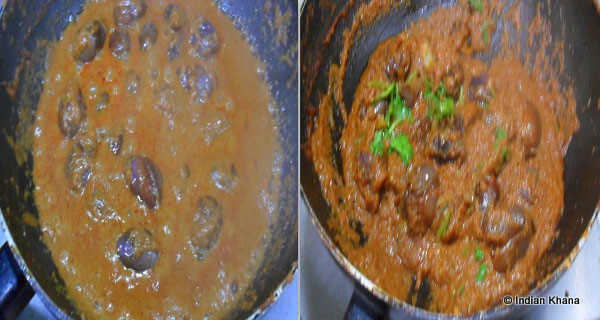 By now the masala and eggplant will be cooked, oil starts to float on top and the gravy will be thick. Off the flame. If eggplant is not cooked then simmer for 2-3 more minutes. Garnish with chopped cilantro. 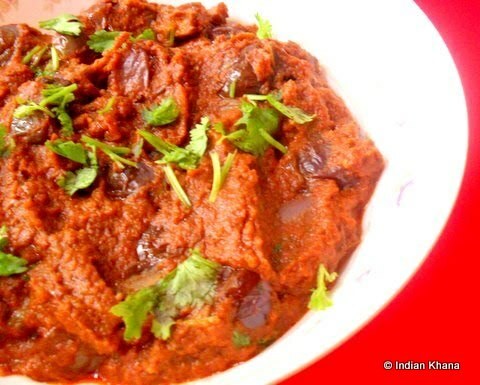 Enjoy the delicious bagara baingan with roti/paratha, plain rice or pulav. It's just taste yummy with anything. Wonderful colour and nice explanations.Though i have tried a different version by adding peanuts, will try this sometime. Perfect with rotis ..looks so delicious. Baigan Bagara looks simply heavenly. I can already feel my mouth water after looking at this wonderful dish. 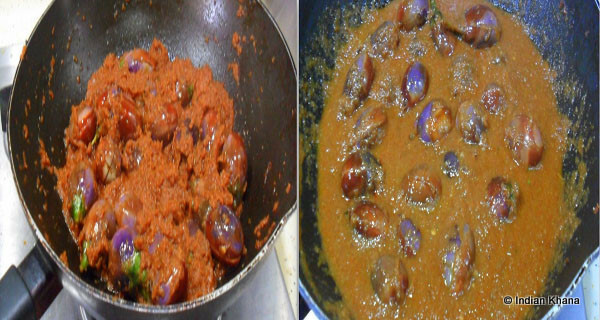 Bagara baingan looks mouthwatering..nice and wonderful recipe..thanks for sharing this! Mouthwatering pics...I am still drooling over the pics. looks so yummy and delicious Priti. Love this dish. I am just drooling.the curry looks so flavourful and lovely. wow, absolutely delicious, sure to try this out..looks yummy..
those brinjals are so cute..am not getting those cuties here! Those cuties looks colourful and very inviting ..
One of my fav fav eggplant dish and I always enjoy it the way you made :) Looks delicious. Delicious and tempting...great for rotis..
Love the colour of the gravy! 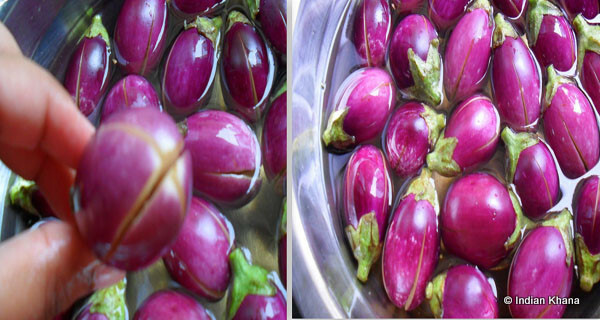 And those brinjals are so cute,loved those clicks! Stuffed eggplant looks delicious. Nice color. love it. 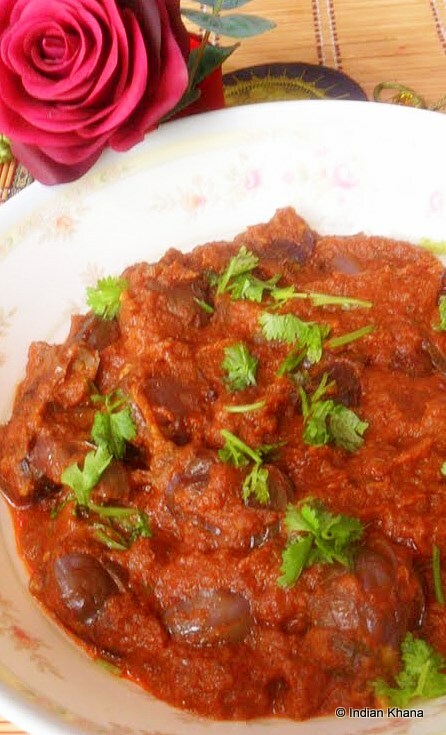 wow..liked the masala and colour very much...im sure it must be so delicious..mouthwatering recipe ! So colourful..looks delicious. And thanks for the step by step explanation. Drooling here, Perfectly cooked gravy..delicious combo for roti. those adorable looking aubergines are happy to be part of this wonderful dish- very nice prithi ! There are so many diff recipes for this one dish and most dont flatter me. This is very tempting judging by the pics and by what you say. Good one. Yummy , this is so delicious! And i love vegetarian food soo muc!